I have a somewhat nostalgic idea of camping from growing up in the wilds of Maine, but nothing I’d seen at a campground in the states prepared me for European camping! As near as I can tell the Europeans, or I should specify, the Italians I’ve met here at Mattinata, view a tent site much as a Mainer views a “camp” on a lake far out of town. The tents set up all around me are gigantic with multiple rooms, including a separate kitchen (it’s Italy after all), electricity, lights, most even have flat screen TVs to watch football (soccer) on! All have fridges, tables, chairs and matted floors that are swept clean many times a day. 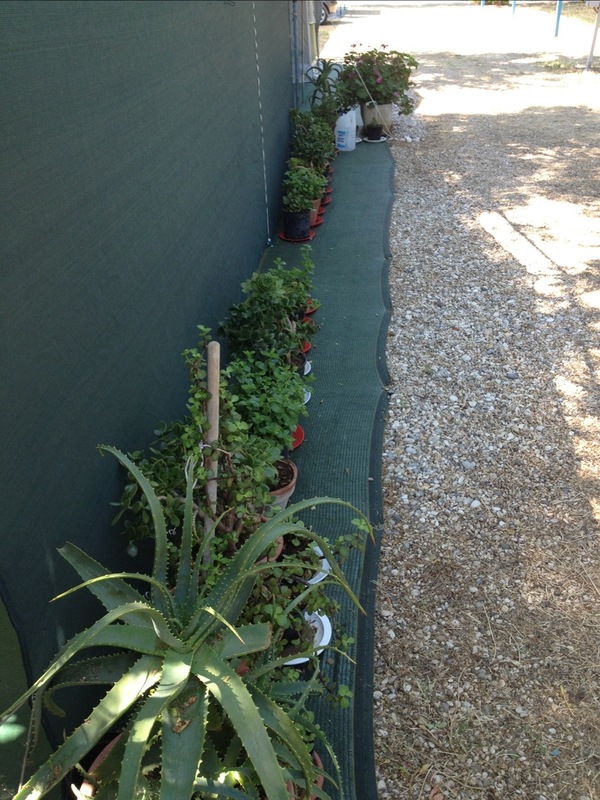 Several people have even brought plants! While, in my opinion, nothing beats backpacking in Maine, this kind of camping sure does look to have its advantages! The kitchen tent is on the right. The table even has flowers! And… The contrast. 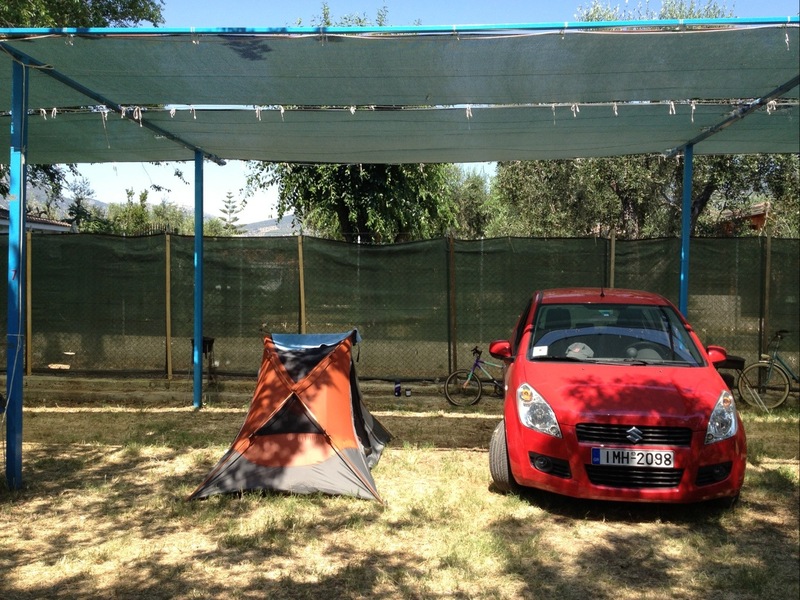 My tent and car fits easily in the space reserved for a single tent site. I got many laughs when I set up my tent. I wish I knew some witty Italian retorts. Dear Colin…You are and have been in my prayers, forever.May you continue to be safe. Your tent reminds me of a story……..will tell you in July. 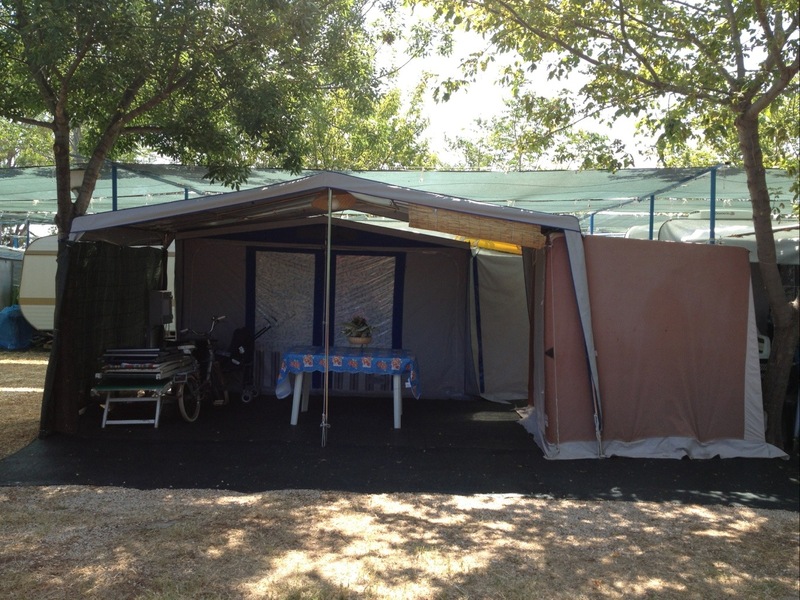 The large tents you’re talking about are awnings for caravans or camping trailers. 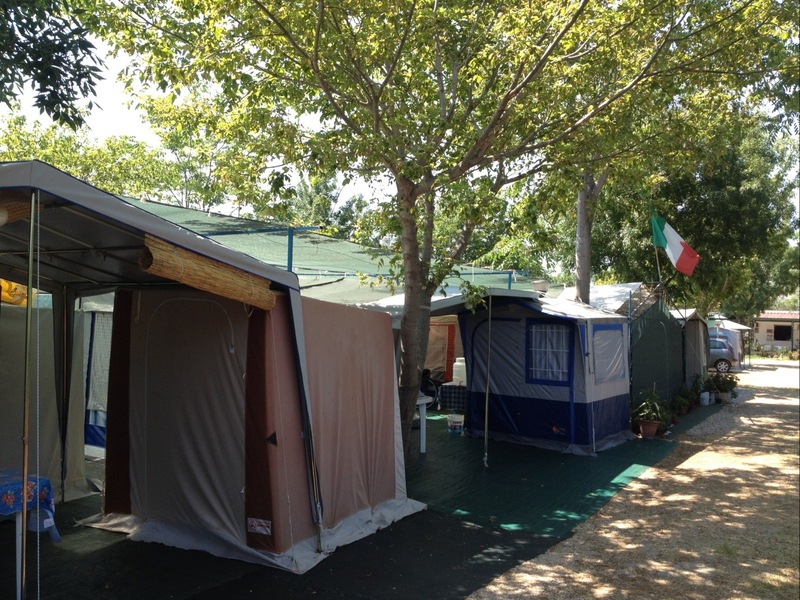 A lot of Italians and other Europeans as well, like to place their caravans on a permanent pitch in a preferred camping site for the season and use it as much as they can. They usually share it with family or friends. It’s like having a getaway close to the sea or other places of your choice.